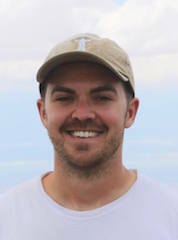 Home » Team » Mitchell D'Arcy, Ph.D.
Mitchell D'Arcy is a post-doc in the International Research Training Group "StRATEGy" and staff member in the geomorphology section at the GFZ Potsdam. Mitch is a British geologist from London (UK), who completed his Master´s in geology at Imperial College London before he finished a PhD studying the sensitivity of Californian catchment-alluvial fan systems to climate changes over the past 125 ka. He is working with Taylor Schildgen on the Sierra Aconquija in NW Argentina. He is focusing on the timing of past glaciation and the implications for source-to-sink sedimentation.